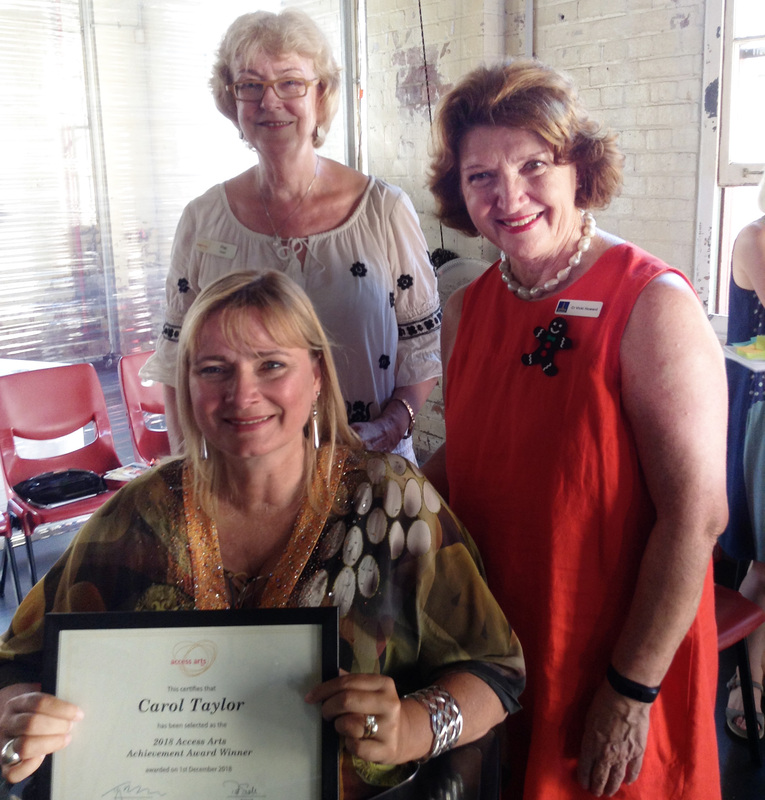 Meet Carol Taylor, the winner of the $10,000 Access Arts Achievement Award for 2018. Carol, a talented watercolour artist from the Gold Coast, plans to use the funds to create a body of artwork for her first solo exhibition. She will also incorporate the same artwork into the design of a small sample range of “wheelchair accessible” fashion for initial market testing and, ultimately, further development into a viable online business plan. The Lord Mayor’s Suburban Initiative Fund and Central Ward Councillor Vicki Howard. Competition for the annual Award was fierce with a record number of entrants competing for a chance to further their artistic goals. Applications were received from all over Queensland. The assessment criteria were based on the project’s artistic and/or cultural merit and innovation, opportunity for professional development and viability. Now in its fifth year, the Award was made possible by the generosity of Access Arts Life Member Peter Vance. The Award provides funding for Queensland artists, arts workers and producers with disability working in any artform to create, present and potentially tour their work. Click here to read Carol’s inspiring story and see her amazing artwork.